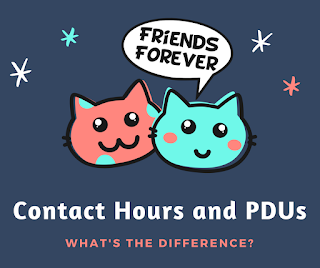 People (including me) often use Contact Hours and PDUs interchangeably. So, I decided to settle the issue once and for all. I wrote to PMI and requested clarification. Let’s look at their response and understand a few more details about Contact Hours and PDUs for PMP certification. Contact Hours are hours earned before becoming certified. Contact Hours can only be earned as traditional course time that focuses on project management. PDUs are earned after one has become certified and there are many ways to earn PDUs. There are 5 Categories which PDUs fall under. Category 1: Formal Academic Education - courses taken in a degree granting program related to project management. Category 2: Professional Activities - authoring articles in Journals, speaking or teaching PM related courses, developing a course related to PM, practicing project management and self directed learning activities. Category 3: PMI REP - courses taken through registered education providers and chapter events such as meetings. Category 4: Other Provider - courses or seminars taken through organizations not registered with PMI. Category 5: Volunteer Services - services provided to your local chapter, other PM related organizations or charitable organizations. PDU Calculations and documentation requirements can be found in the Handbook of your respective certification and does provide a more detailed description of each activity. If you have any questions, you can also write directly to PMI Customer Care at customercare@pmi.org. Their response time is a bit slow though (about 3 business days). Good evening, please clarify is it mandatory to have the minimum contact hours from any of the categories mentioned above before applying for PMP certification ? Interesting question. Answer is No. These are different categories in which you can earn PDUs. They do not have minimum PDUs requirements in any of these categories. But please be aware that there are caps (maximums) in some categories. Please refer to PDU Category Caps and Rules PDF, which you can download from PMI's Continuing Certification Requirements System website (http://ccrs.pmi.org ).